Leather 3/4 length asymmetrical coat excels genuine leather, asymmetrical zippered front with notch collar and buttoned tabs, 7″ zippered cuff gusset, zipper hand pockets, 11″ lined back vent, chevron stitching at back yoke, removable, adjustable waist belt. 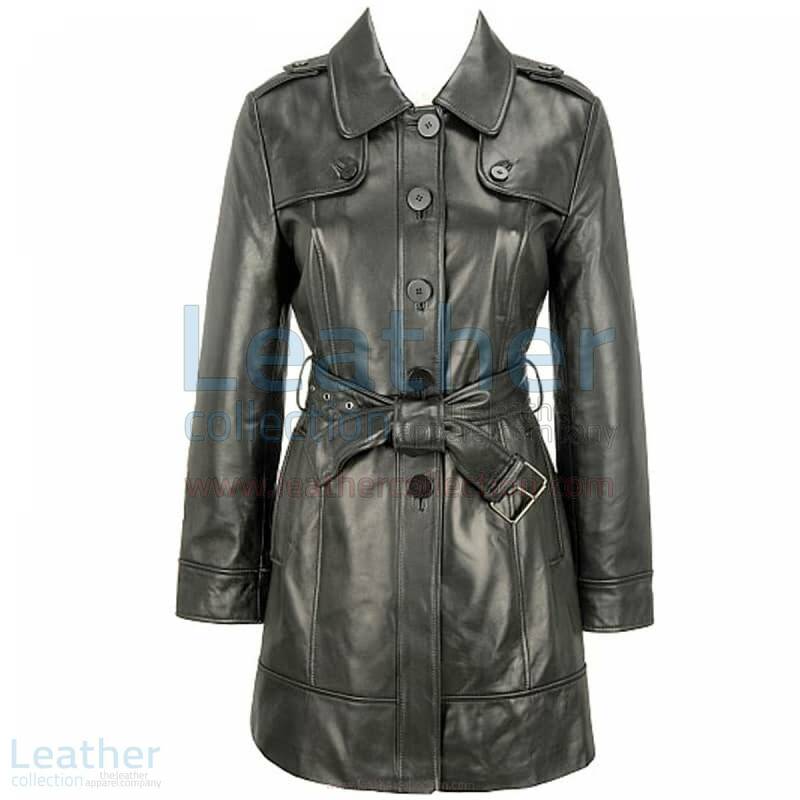 Leather 3/4 Length Asymmetrical Coat Outer Shell: Asymmetrical coat features genuine leather. Asymmetrical zippered front with notch collar and buttoned tabs. 7″ Zippered cuff gusset. Zipper hand pockets. 11″ Lined back vent on asymmetrical coat. Chevron stitching at back yoke. Removable, adjustable waist belt. 3/4 Length coat is stitched with polyester thread. Inner Shell: 3/4 Length coat features satin lining. 2 Interior pockets.